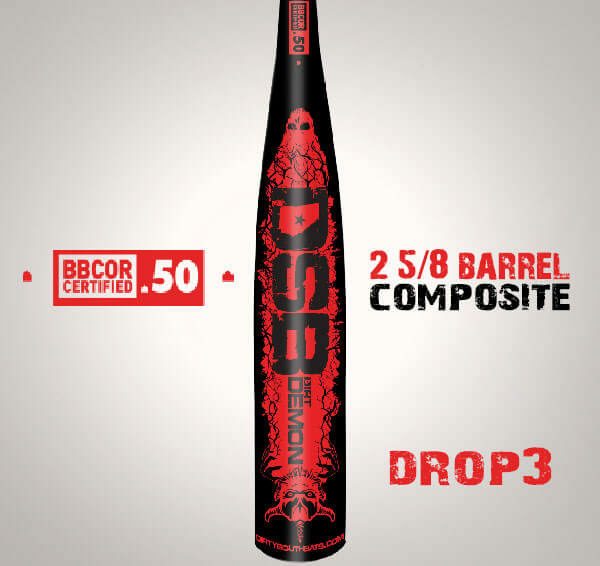 We have spent over 2 years perfecting our BBCOR bat to make sure it has the legendary DSB pop, but we also wanted the bat to have a soft feel. 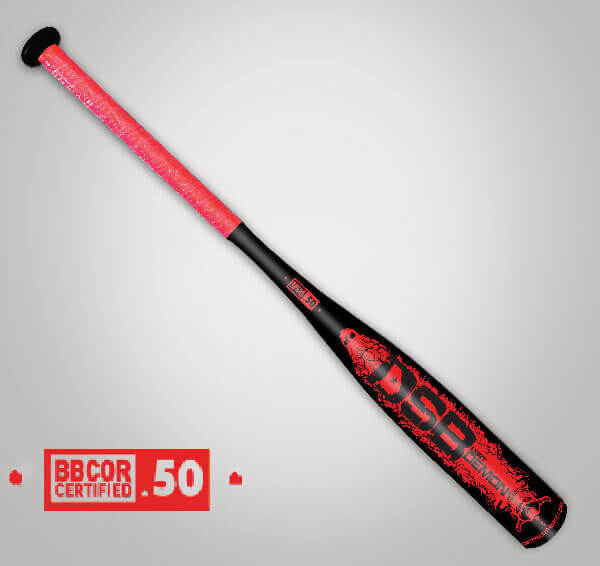 Most BBCOR bats feel like you are hitting a fence pole. DSB’s Kryptek BBCOR bat has a forgiving barrel that does not jar the hitter’s hands allowing hitters to go for it and maximize their swing to produce the most power. 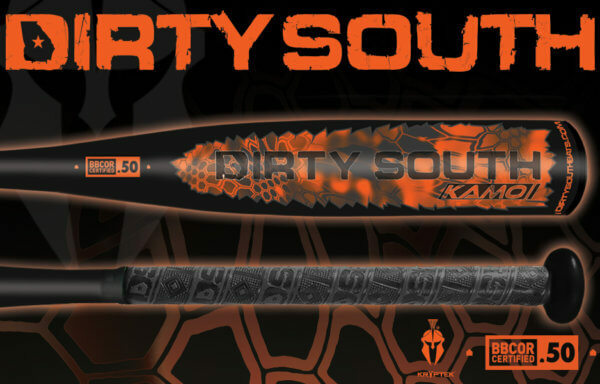 We have teamed up with Kryptek to bring you a killer design with a DSB engineered composite bat. The Kryptek logo is reserved for our DSB power hitters. Although there are differences in the Kamo and Demon in the higher drops, there is no difference in the Kamo and Demon in the drop 3. 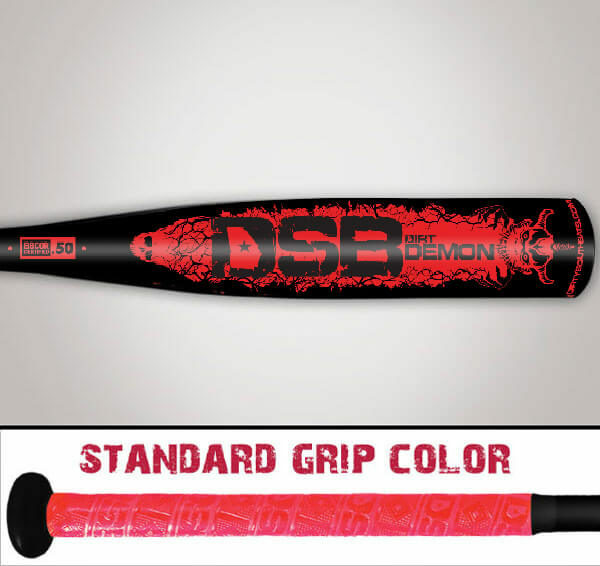 We just wanted to have a 2nd graphic/color available for our customers with the DSB BBCOR line. We are proud of your future success with DSB Kamo BBCOR. When will you start? Bat Grip: Lefty or Righty? 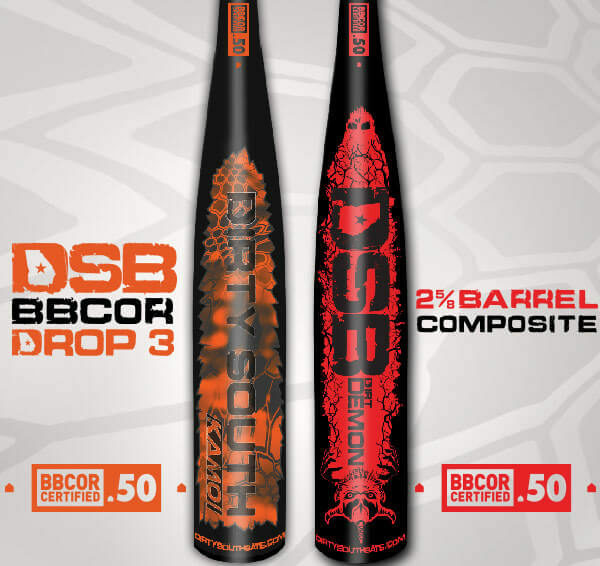 We have teamed up with Kryptek to bring superb design to a DSB engineered composite bat. We are proud of your future success with DSB Kamo BBCOR. When will you start? My 16 year old son loves the pop and feel. 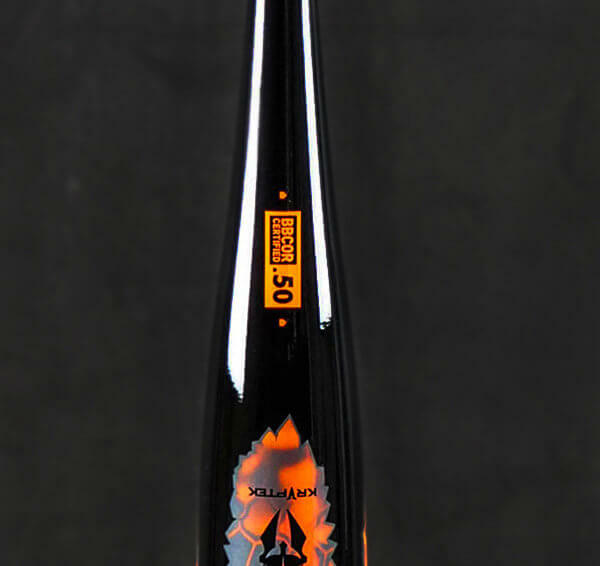 This is our 3rd Bat from DSB. He Matched it up against CAT 8 and it drives the ball further and with no sting aluminum has. Over the last 4 years my son has owed 3 other models of Dirty South bats including the War -10, Swag -8, and Texas Big -5. We’ve been awaiting a BBCOR model for over a year and purchased the Kamo soon after it was released. I can attest that the Kamo lives up to the reputation that we’ve experienced with all the other Dirty South bats he has swung. Right out of the wrapper we measured batted ball speed off a tee against a 718 and a maple bat and it averaged 3 mph higher exit speed than both of them. If your looking for a hot bat with a giant sweet spot this is it. Plus what other bat can you buy that’s truly Made in the USA. My son loves this bat! 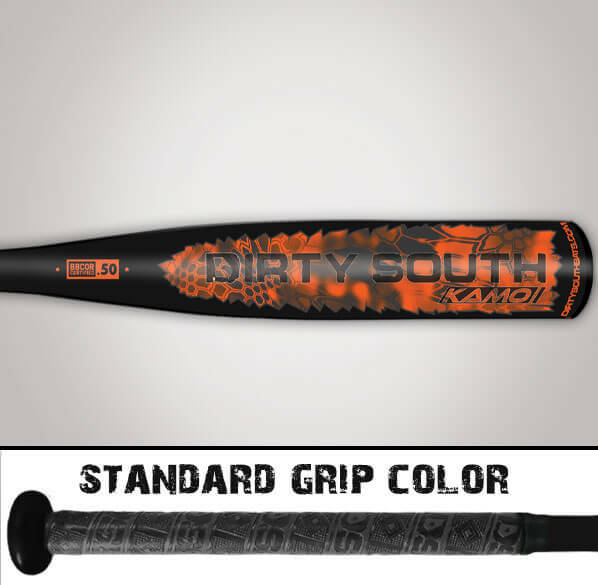 This is our 3rd Dirty South Bat. The bat is very hot out of the wrapper. It’s great to finally have a bat made in the USA that is worth buying.